Raised in San Diego, Sally spent three years in the art department at U.C.L.A. before setting out to travel across the United States and Europe. 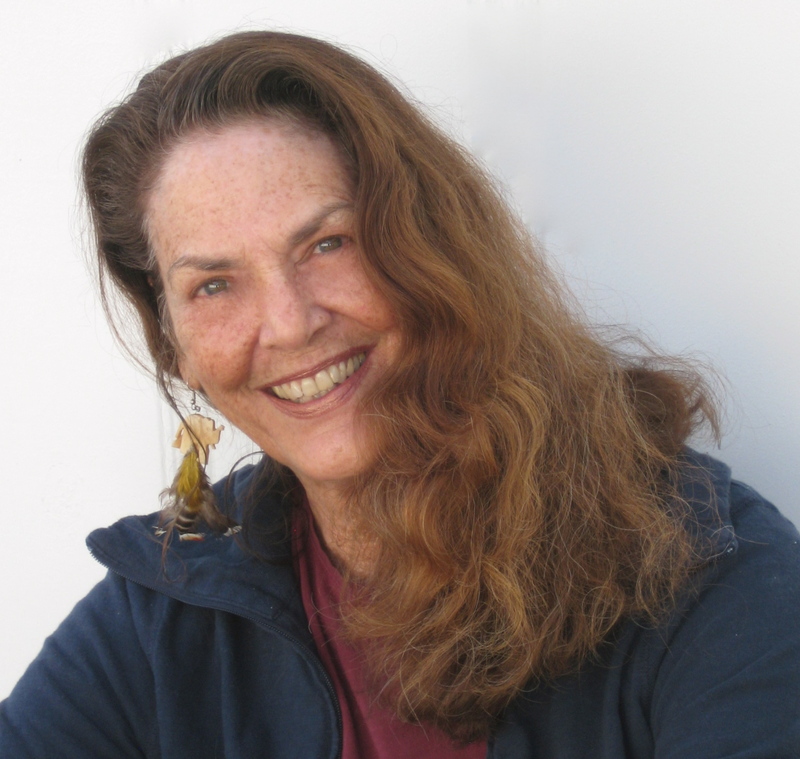 She finally settled in Venice, California in the late seventies. It was a peak decade in Venice when its commercial buildings, long since abandoned, had been turned into art studios. Laddie and Guy Dill, Peter Alexander, James McCabe, Chuck Arnaldi, and many others were just launching their careers. Sally's studio was on the main boulevard in Venice in a building she bought and renovated in 1978. After a few years painting in oils, and sculpting in bronze, Sally began working in the design field for London Records. In the early eighties she founded her own design company, Market Street Design with partner Richard Kriegler. It was through her work in the design field that Sally first picked up a camera and became fascinated with capturing the moment on film. As she began photographing her surroundings she also began looking for a medium that would be appropriate for bringing the photos to life. The pastels were perfect. They gave a soft focus look to her work and the colors blended together as they do in nature, one upon the other. When the Robert Berman Gallery opened in Venice many of the local artists showed there, as did Sally where she had both private and group shows of her work. She also had shows of her work up a Hal's Restaurant, The Rose Cafe, and Hama Sushi. These restaurants in Venice had regular art openings. In 1993 Sally and her family moved to Kauai right after Hurricane Iniki. It was there that she began to focus on the skies above her. Because the air surrounding Kauai was so pristine, the skies are crystal clear and the colors often brilliant. More and more she angled her camera at the skies above. What you see when you look up is a never ending parade of shape and color from sunrise to sunset. Kong Lung Company hosted her first show on the island. The show sold out, two of the pieces going to long time Kauai resident, Michael Crichton. Since that show, Sally has had three other successful shows of these "skyscapes" and showed her work privately in her studio in Kilauea. When Ben Stiller moved to Kauai, he purchased three of Sally's original pastels for his new home. 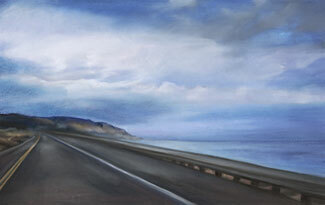 Sally moved back to San Diego in 2006 and began teaching and showing her work at the Art Istitute of San Diego. Her perspectives have changed in this new environment and she has now been producing works of coastal California which is equally as beautiful to her eye.